A sense of dread comes over many arthritis sufferers as winter approaches. They can feel it in their bones—no pun intended. 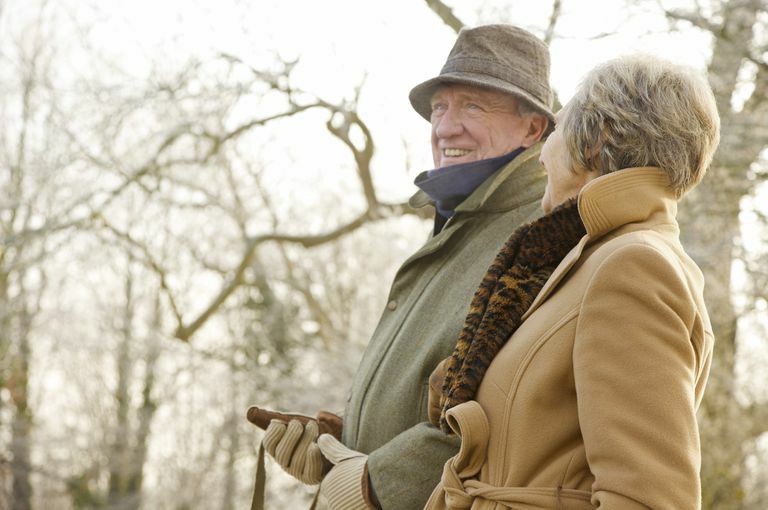 Cold weather can exacerbate joint pain and joint stiffness. 'Tis the season to be uncomfortable. Remembering a few common sense tips can help people with arthritis survive cold weather—and possibly even enjoy the winter season. The advice will sound so simple. You will likely sound off with a resounding "Duh!" But many people don't follow the easiest of suggestions that can make cold weather tolerable. Here is what you need to do to survive cold weather. Bundle up! Your wardrobe should contain a warm jacket or coat, sweaters, sweatshirts, sweatpants, and long pants. Mix in some items that can easily add layers of warmth. Turtlenecks and thermal underclothes are ideal. Always wear a hat, scarf, and gloves or mittens when going outdoors. Don't skip the gloves just because they don't fit your gnarly fingers perfectly. In that case, mittens are a good alternative. Just be sure your hands are covered. As for boots, forget about being a fashionista: Get boots that are waterproof. You must keep your feet dry if you are going to keep warm. In this day and age of high gas prices and consequently expensive utilities, saving money by scrimping on heat is not an option for arthritis patients. You may be tempted to lower your thermostat to save money. But you may pay for it in other ways. Keep the thermostat at a reasonable setting—a setting that you determine is comfortable. Consider a programmable thermostat that you can set lower for the hours you are away from home, and adjusts to a higher temperature right before you come home. While it's efficient, a programmable thermostat assures you will have a warm temperature when you are at home. Don't face the winter months without an electric blanket or heating pad. The electric blanket is more effective for keeping you warm while you are resting or sleeping. Heating pads are more useful for localized areas where joints have become stiff and painful from the cold weather. Many different electric blankets and heating pads are available. Choose one that will help you relax in warmth. It's an easy thing to do without thinking—running outside to get the mail without a jacket or dashing into your care for a quick trip to the store or post office without a coat. What's wrong with this? You're allowing yourself to get cold. So, make a rule and stick to it: No quick trips out into the cold without proper clothing and outerwear. Some may think that a moderate amount of leaf raking or snow shoveling is good on the premise that any physical activity is good for you. But, do you really have to be physically active out in the cold? Advice: Find another way. It is definitely important to stick with an exercise program during winter months. It may be that staying inside causes you to become more sedentary or physically inactive. If you were one who took nightly walks during the summer nights, cold weather might deter that activity. But you must maintain some sort of gentle exercise program. It's amazing how a single cup of hot chocolate or hot tea can warm you up. Hot beverages are soothing, comforting, and warming. Start your day or end your day with a hot drink. Hot tea or hot chocolate should be considered staples. Always have them on hand. Can You Use Turmeric for Osteoarthritis? Can You Be Certain Herbal Remedies for Osteoarthritis Are Safe?